The Add On Fire & Ice as well as the hard AI will be ready in the 1st quarter of 2018. We will keep you up to date on the facebook page for this game. 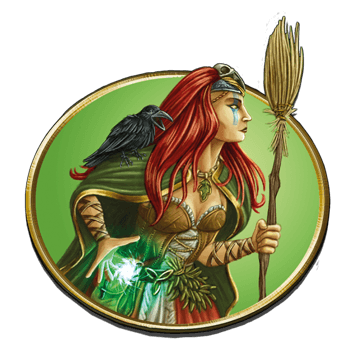 For now please enjoy the summary of all available factions that you can choose to play in “Terra Mystica” and the related extension “Fire & Ice”. The Greenlight process is done! Thank you for your support. We will keep you informed. 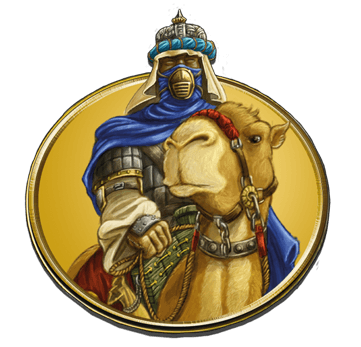 Terra Mystica is out on steam! 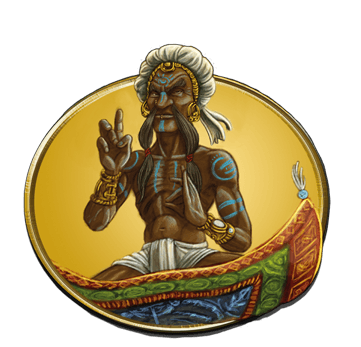 Fakirs have reduced their physical needs to a minimum and tremendously improved their spiritual forces. Their spirit rules over matter in such a way that they are able to levitate things like carpets. Carpets are very convenient flying devices when you know how to operate them. In contrast to brooms, they are capable of transporting load. Fakirs prefer to live in deserts as these comply with their meditative lifestyle due to the desert’s considerable lack of plants and animals. Nomads are a horse people of the desert. They used to be living in tents and always on the move. Even today, they build their dwellings using plain and light materials. This way they can populate large areas really quickly. Nomads only dwell in deserts, and their hordes of horsemen can cause a sand storm that may propagate to neighboring landscapes. Chaos Magicians appreciate the forces of destruction and feel the best when in dismal wastelands. They worship fire and are always looking for underground lava streams that they try to force to erupt and hit the surface to transform even more land into wasteland. 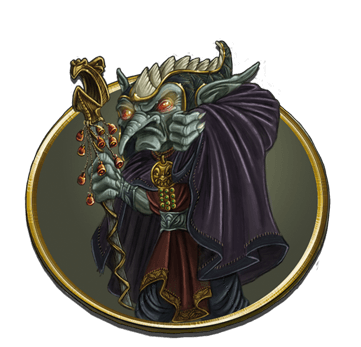 Chaos Magicians also have a certain power over time – they are able to freeze time for other people so they can wreak havoc undisturbed. From all the factions, Swarmlings are the most sociable one. They simply cannot bear loneliness. They always wander about in large groups, being in water most of the time, yet they get along on land just as well. And when a Swarmling needs a work done, he may be assured of the help from friends and relatives who will give strong support. This way they even get the toughest work done. 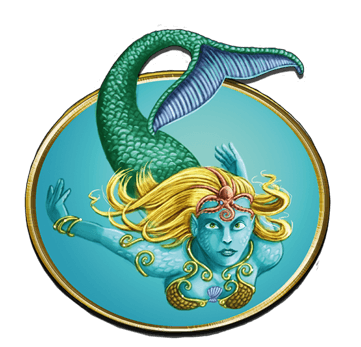 Mermaids are lovely water creatures inhabiting the waters of Terra Mystica and traveling by its rivers. 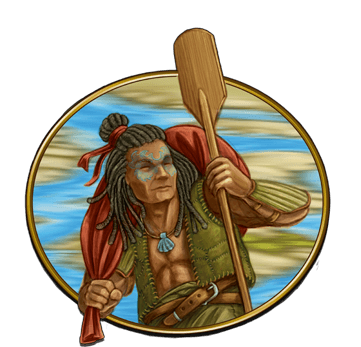 Deceived by their charm, many a landsman has forgotten that the Mermaids preferably would like to transform Terra Mystica into a world of water. 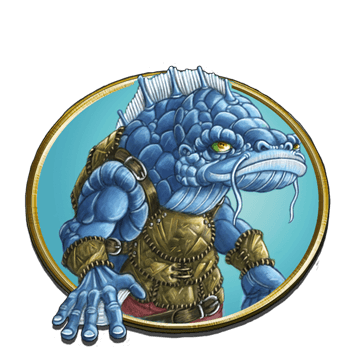 Mermaids are able to split their fishtail into two legs and traverse through land; however, they only do so when going to flood it with water, or when they need building materials for their floating cities. 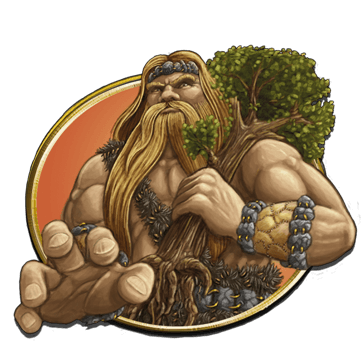 Giants are beings of enormous size and physical strength. They can pull out trees or level out mountains with ease – as a matter of fact, they actually enjoy it. They are able to transform any landscape into wasteland in no time. Various Giants have already tried to transform land into something else, but it ended up being wasteland anyway. Apparently, they simply have no knack for the finer things. 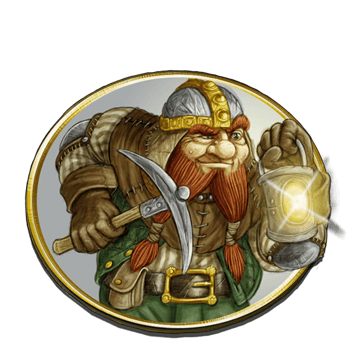 Dwarves are always on a hunt for treasures and valuable ores, thus engage in, non-stop burrowing in soil. Their mines are usually located in the mountains, but in the heat of digging, they sometimes end up digging underneath a neighboring area. Even if this is inhabited, its inhabitants most often will only notice when the Dwarves all of a sudden appear on the other side of that area. Dwarves go through so much soil that they are able to form new mountains from the spoil, so that future generations of Dwarves may dig through these all over again. Initially, Engineers have been a mountain tribe living in inaccessible valleys and ravines. They have learned how to build bridges and mountain roads to keep their remote settlements connected. They enjoy dominating nature by means of technology. They appear eccentric to the other factions when poring over their construction plans. 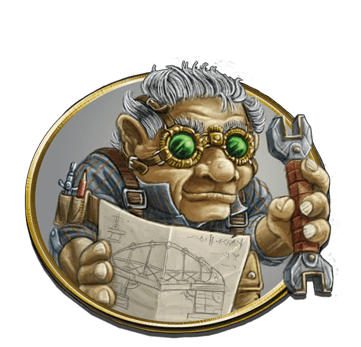 Halflings are nice little guys, not overly strong, intelligent, or apt in magic. So, hard work is their only way to achieve something in life. And with hard work, they achieve amazing things. 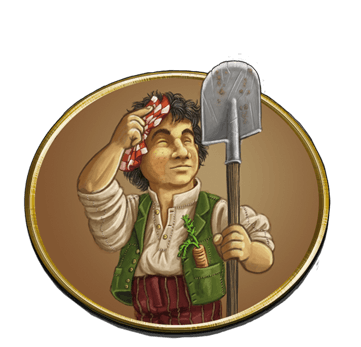 Wherever a family of Halflings appears, the landscape will become flourishing farmland in a heartbeat – and this with only their own hands’ work. 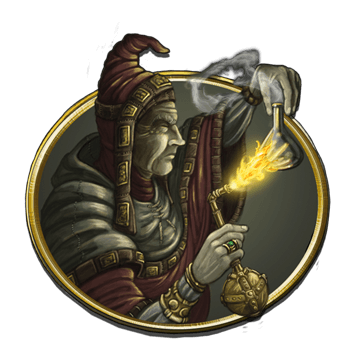 Alchemists strive for a deeper knowledge of the elements forming the world and how to use them for their purposes. They know how to create gold – the process, however, is very elaborate and is only worth its while when you really need that gold. Alchemists prefer to settle in Swamps as these provide a steady supply of sulfur and other reagents. Darklings are said to be wicked and smarmy creatures that lure others into dangerous marshy hollows for fun, only to rob and then drown them. Only few have tried to verify these rumors. 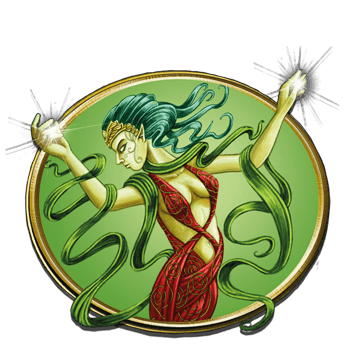 Darklings are fairly skilled in the elemental cults – that’s for sure. Their priests use their secret knowledge to bog even more land. Cultists love rituals. Their entire life is based on strict rules. Even the simplest things are accompanied by secret symbols and invocations of the elements. For instance, when a Cultist wants to fill a bucket of water from a well, he first needs to appease the elements of earth and water which he is tearing apart, then he also needs to ensure the element of fire that he is not going to extinguish it with that water. 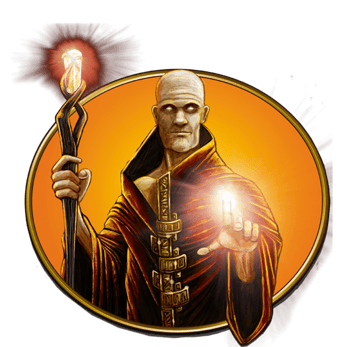 This may seem overly elaborate, but the Cultists also greatly benefit from the power of the elements. Auren are mysterious forest-dwelling people that are said to exist without a physical body. Unfortunately, one cannot prove this as you will never get to see them when wandering through the woods. When threatened or expecting relatives to visit, they simply blend with the trees and become invisible. Witches live in the woods, but they also dominate the air. Riding their brooms, they fly from place to place. This is why a forest that has never seen a Witch before all of a sudden may become full of Witches. Witches are sociable, so they gladly join up in large Witch towns, where they keep trading love potions and portable curses with each other. 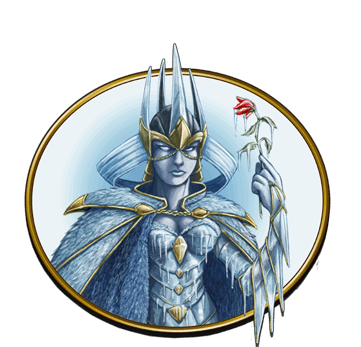 In old tales it is said that the Ice Maidens were once part of the Mermaid faction. They are equally as friendly and lovely, but only cold and frost can make them happy. Ice Maidens love gifts – give them something and they will never let it go, especially since most things will freeze to their hands! This is why you should refrain from shaking an Ice Maiden’s hand despite her seeming to be so friendly. 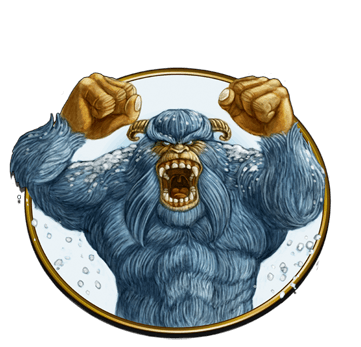 Yetis do not exist. No, not even in Terra Mystica. However, there are rumors about recluses who are done with civilization, living on glaciers and ice floes and who have not shaved for ages. They are said to be skillful artists who sell their ice sculptures to other people while scaring them by telling horror stories about an imminent ice age. Later, when the ice sculpture melts above the chimney, its buyer will become unsure of whether the encounter with the Yeti was real or just a dream. 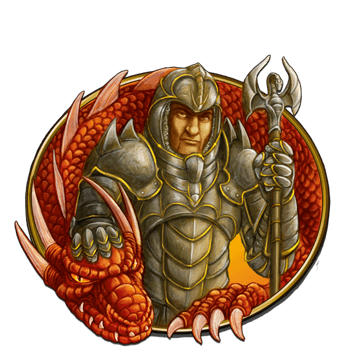 There are a lot of rumors about the relationship between the Dragonlords and dragons. Some say they have a sense for soon-to-be-erupting volcanoes. A Dragonlord could ride his dragon to the right spot over a volcano and the dragon would then induce an eruption through meditation and spitting fire. (Spitting fire is quite meditative for a dragon.) 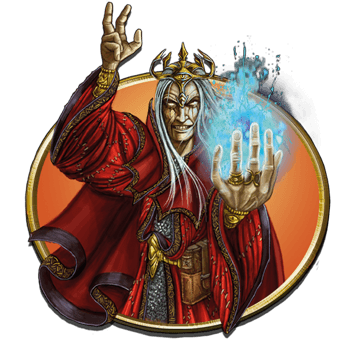 Both the Dragonlords and dragons benefit from this kind of collaboration – the dragon gets a fresh volcano to bathe in or have a barbeque, and the Dragonlord can use its power for his own purposes. 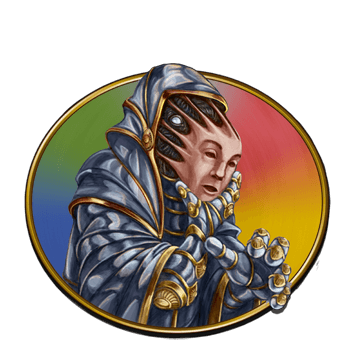 Technically, Acolytes are heretics – according to the other factions anyway. They do not content themselves with worshipping the elements in cults. Acolytes rather use the power of the elements to cause volcanoes to erupt. You might notice a little sparkle in their eyes when they watch the hot magma pouring out of an erupting volcano. Some say this is obsession, but it might just be the joy of being able to change the landscape without a single cut of the spade. Riverwalkers are beach dwellers – they need the proximity to flowing water to be happy. 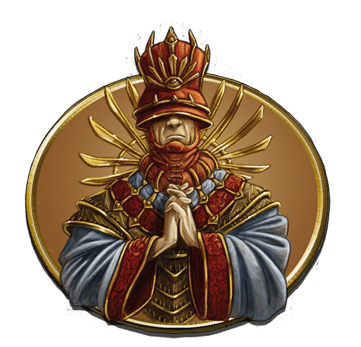 Long ago, their priests have discovered that it does not really matter what terrain you are living in – an unheard-of discovery for Terra Mystica. Other than that, they are pretty harmless. Cooking some fresh fish in a fireplace and listening to the music of a distant lute is all that a Riverwalker really needs in life.